It is the attention to detail, in so many ways, that I love about Japan. Even wandering down the most mundane of streets I was amazed at the beauty that I found underfoot. As with many things, the Japanese take manhole covers to a whole new level. Even the simplest among them had beautiful cast designs; the more ornate ones were storyboards of the places in which they were found. Flowers, deer, paper cranes, and sake breweries; all represented in a most unusual way. Wow! These are really nice. It’s interesting how they also match the pavement’s color with the manhole covers. I love that attention to detail. Just think how much brighter the streets of Calgary would be with covers like this. They are very beautiful and make nice memories of the places you have visited in Japan as each city/town/area has their own unique design. Japan Australia recently posted..Gaijin in Tokyo, Unite! Wow, this is really cool. Even the manholes are ornately designed. How I wish manholes were just like this in every part of the world. Did I miss them? I dont remember seeing such beautiful ones at all. But this is really fabulous, you captured them well too. All very creative. Good work. 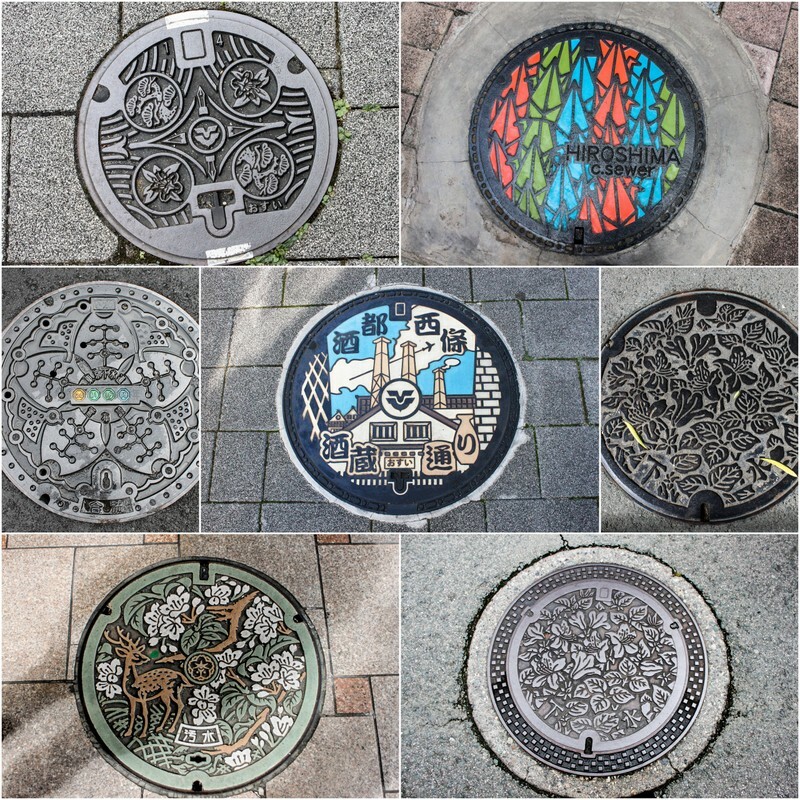 These manhole covers are very interesting and very artistic. In India, the covers are horrendous. Someone ought to tell the authorities to take a look at these Japanese ones. I. Love. This. What a cool post to show another detail of Japan I never would have expected!